Some people can be so heartless – sadly this was the case with this sweet kitty who was dumped at age 17 because she was too old. Sadly older cats take “too much care” for some people and so they abandon them for someone else to deal with. Sadly she was abandoned with no place to go, but then she found a new family who loved her the way she had always deserved. Now that she knows her new family really loves her, she says “thank you” every day in the sweetest ways! She knows she’s loved and is so thankful, it will bring tears to your eyes… Watch the video! 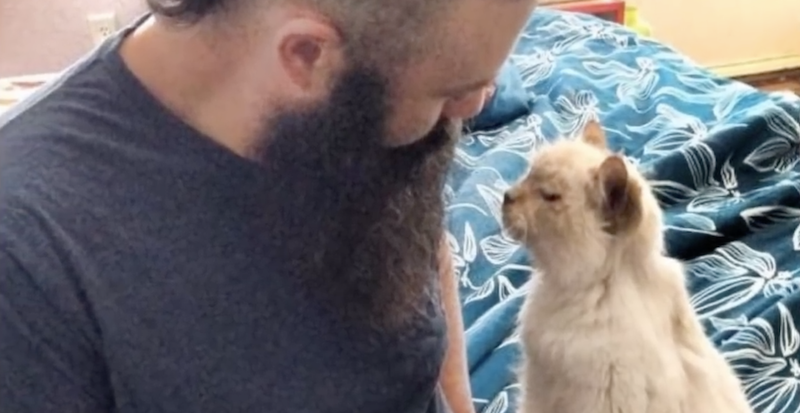 This is so touching—she knows how to say “thank you” with the sweetest head bumps of love!